From what I can remember almost all men I know likes car. I came to know this since I was a child with my father’s flair for nice cars which I also saw in my brother, cousin and now my husband. Men like cars since they’re little boys and you can see it through their cute little toy cars and miniature model cars. My brother has started with a pickup to use for his new construction business then he shifted to a car for a more professional look and now he has a four-wheel drive car that he used for monitoring all his residential projects. His love for cars is not only a whim as its also useful to him; it’s actually a necessity for many of us. There are also some people who just want to collect cars as their hobby and we know these are the well to do people who can afford to buy expensive cars on their whim only. 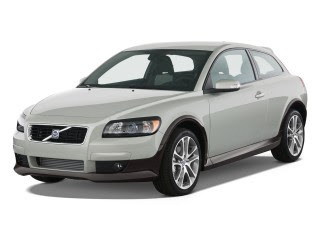 For those people who don’t really mind investing on cars they look for elegance, performance and style they want in a car and they can find it in the new 2010 volvo C30, with the usual style of a two-door hatchback of the S40 sedan and V50 wagon. For those who loves sophisticated look inside and out this is the car for them as it boasts of a good interior design incomparable with other cars. With its improved racier shape you could be traveling around town in elegance and sophisticated style. It’s called the wild child of the Volvo family. It’s not what you can call a sports car but it has a good performance.